Buteyko received scientifical laboratory under his management in Novosibirsk academic town. It was in 1960 year. He made very rare apparatus - combine complexator. That combaine saved many many sick people. It registered great number parameters of man health. Composition of breathe in and breathe in and breathe out air. Not only electrocardiogram, but and ballis to cardiogram of heart. Combaine registered content of carbonic acid (CO2) in breathe in and in breathe out air. It registered content of air in blood haemoglobin. Konstantin Pavlovich lay patient on special couch and asked his to breathe more deeply. Combaiun immediately registered worsening of patient state. Asthmatic received fit of asthma. Heart sick man received attack of stenocardia e.t.c. Buteyko asked his patient to breathe not deeply to diminish the depth, of his breathing and state of patient noticeably, improved. Practice said, that Buteyko Discovery is real great Discovery! And not practice only said about that. Buteyko six years worked in Moscow medical library. He worked in that library from 1952 up to 1958 years, up to his departure in Siberia. He read many medical books on the theme about breathing. Very many books. And he understood suddenly, that many scientists in vain gave first place for main health to the air! Konstantin Pavlovich understood that the first place for main health it is need give to Carbonic acid (CO2)!! It was strangely on the face of it. But it was truth! He read many scientific books. But one from of them staggered his specially. It was the book of two famous. English scientists - "Respiration" by J.G. Priestly. 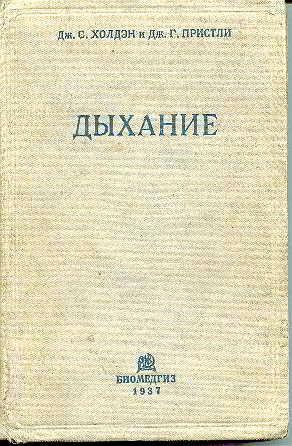 (second edition 1935 year). That book was printed in USSR only one time. In 1937 year. The famous English phusiologists wrote the big capital labour. In 440 pages! All book said about that fact that exactly carbonic acid (CO2) is on the first place for human organism. Haldane and Priestly did not say it straight. They simply gave facts... 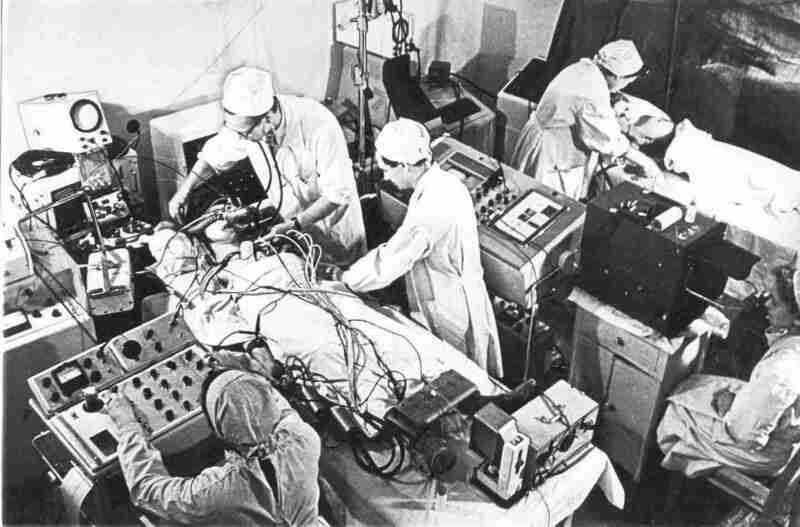 They showed that the man loses his consciousness after two minutes of deep breathing for example (page 69 in Russian edition). Not even man certainly. Some man loses consciousness after six, or eight minutes... That book gave the last proofes to Buteyko in theoretical plan. Deep breathing washes carbonic acid (CO2) from of human organism. And the man loses conciousness... 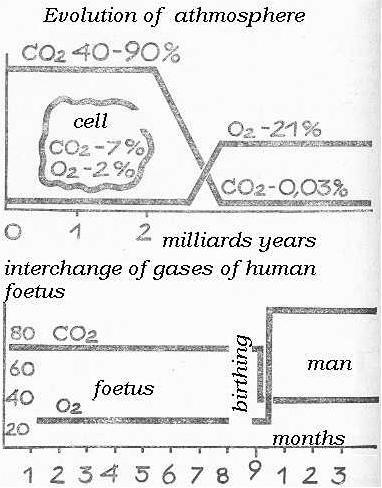 Therefore acid (CO2) is more importance gas for organis than oxygen. Deep breathing gives many oxygen in human blood, but that fact does not save man from of fainting fit. Haldane and Priestly understood that fact very good. But they did not dare to say that sraight. Because all World science says on the contrary. Buteyko combine-complexator proved that world sciene make mistake... Deep Breathing Illnesses Discovery demanded it's practical applying now. Konstantin Pavlovich began the create his Volitional Elimination of Deep Breathing method (VEDB method). It was need teach people to breathe undeeply. In what pose is it better to make? In lie pose, or sit pose? All these questions demand answer. Buteyko worked long time in that direction. Sitting variant rendered the most acceptable. Right carriage, position of legs, state of your stomach, direction of your look - all played very important role. But hte most important was the other. the most important role in recovery of sick man played good knowledge of Deep Breathing Illnesses Discovery theory. Knowledge of Verigo-Bor law in the first time! Russian scientist professor Verigo proved in 108 year, that haemoglobin of human blood badly gives oxygen in the cells, if there is a little of carbonic acid in the human blood! Grandson of Nils Bor confirmed that law in 1922 year. You breathe deeply. You receive many atmosphere oxygen in your blood. But that oxygen in your cells. Because deep breathing washed your carbonic acid from of your organism to atmosphere! All physicians say about of use of oxygen for human arganism. But they do not understand that deep breathing prevents getting of oxygen from of blood in cells sit in hungry axygen rotation. Your cells choke from of oxygen insufficiency by the deep breathing!. Verigo-Bor law - is the man foundation stone in the Deep Breathing Illnesses Discovery theory. Remember, please, that law very, very good! And the second theoretical fact, which every sick man must know is the table of atmospher evolution. Look on that table please. All physicians say about use of oxygen for human organism. All physicians say about that. But this table says on the contrary. Human cell demands 7% carbonic acid (CO2) for it's good existence. And that the same human cell demands only 2% of oxygen for it's good existence too! Earth atmosphere had 40-90% carbonic acid (CO2) when the lfe was conceived on it. Living cell left itself very good in that period. But Earth covered by the green vegetation took up almost all atmosphere carbonic acid. Look at the table, please. There are only 0,03% carbonic acid (CO2) in Earth atmosphere at now! Human cell can not live good in such conditions. Human cell demands 7% carbonic acid as before. And what about of oxygen? Human cell demands only 2% of oxygen for it's good existence. But Earth atmosphere has 21% of oxygen now! Look at hte table, please... So, we have enough oxygen. But we are need in carbonic acid. Where may we thake it? Not from Earth atmosphere. There are not enough carbonic acid (only 0,03%). Carbonic acid produce in human cells. We with your eat every day. Carbon (C) lies in the base of our food. That carbon (C) joins with oxygen (O2) in the cells of human arganism. CO2 receives in result of that. And our cells produce 7-8% of carbonic acid (CO2).But that (O2) goes in alveolues of our lungs. Healthy man must have 6,5% CO2 in his lungs. But the physicians teaches us to breathe deeply... You make deep breath and deep expiration goes after that... That deep expiration wash away your precious carbonic acid (CO2) in atmosphere. Content CO2 in your lungs begins to go down. 6,5% CO2 - you are healthy man. 5% CO2 - frontierline between health and illness. You have approximately 3,7% CO2. Because you have your terrible illnesses. Death comes lower than 3,5% CO2... remember that table, please! The table evolution of atmosphere in the second corner stone of Buteyko theory. Content CO2 in your organism can define by the help of gas analyser. But that apparatus is very dear. Konstantin Pavlovich created more cheap way of definition of content CO2 in your organism. This way is way of definition your control pause. Control pause is delay of your breathing after of usual expiration up to the most small wish to take breath. Up to small wish. It is very important. Small wish. If it is big wish (your mouth will be opened by that!) - it is not control pause. It is maximum pause. Look at the following Buteyko table. 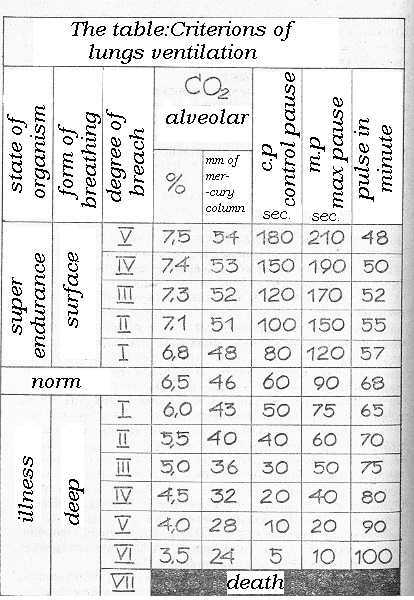 That table shaws that the state of your organism is very good if your control pause is 60 seconds. Your lung's CO2 is 6,5% by that. The state of your organism is enoughly good if your control pause is 30 seconds. Your lung's CO2(cabon dioxide) is 5% by that. The state of your organism is very good, if your control pause is 5 seconds. Your lung's CO2(carbon dioxide) is 3,5% only... Death is coming if you have lung's CO2 lower than 3,5%. The majority from of you, our dear readers, have control pause in 7 seconds in average. Therefore you have your terrible illesses: asthma, allergy, eczema, neurdermite, psoriasis, diathesis, heard illnesses, hypertension, hypotension, vegetvascular distonia, heart ischemia, stenocardia, breaches of cardiac rhythm, diabetes mellitus, woman's illnesses (breaches of menstrual cycle, toxicosis of pregnancy, pathologic climacterium (menopause), cervical erosion, fibromyomes, ibrotic mastopathy, sterility,impotency, menacing abortions), radiculitis, osteochondrosis, metabolic polyarthritis, pyelonephritis, nycturig cystitis, bad sight e.t.c. Dear readers! Control pause is very approximate quantity. Only good Buteyko methodist can define your approximate exact. You have approximately 3,7% CO2 in your lungs, if you have your terrible illnesses. Academician Buteyko creates VEDB method. Volitional Elimination of Deep Breathig method. And the table riterions of lung's ventilation is the third corner stone of his great Deep Breathing Illnesses Discovery! Yes! It is very important to know how you must sit in the Buteyko method. How must be disposed your legs, your hands by that. Your head, your eyes, your mouth, your stomach. It is very important. But no disposition gives to you the real health if you will not very, very good know namely that three corner stones of bteyko's theory: the first sstone, - Verigo-Bor law, second stone - the table of atmosphere evolution, the third stone - the table of lung's ventilation criterions. That three corner stones may give real health to you. Because only that three corner stones give to you the clear understanding of real cause of your terrible illness. Your cell may be health only by 6,5% CO2 content in your lungs. You have only 3,7%. What health may be by such low content of CO2& What health. Three corner stones - these aare the laws of physiology!! No tablets can give help to you in such case. No tablets! No operations! You have 3,7% CO2 therefore you breathe in 27 litres of atmosphere air in every minute of your life! But the norm is only 3 litres for woman and 5 litres for man... How may you be health by that wild superventilation?Say me please - how?You can know that truth very simply. Make 40 or 50 very very deep breathes! You will be feel himself very badly by that. Your head, your heart will be feel himself very badly. What is the answer& Deep breathing is the real cause of your terrible illness. How may you cure you illnesses& By the mean of tablets? No! By the mean of operation? No. By the mean of VEDB method only!! "I can buy the gass ballon (ballon with CO2)" - you may say... Yes! You may buy gas ballon. But it can not save you. You must work carbon dioxide himself. Why pig insulin can not help to diabetic man really? 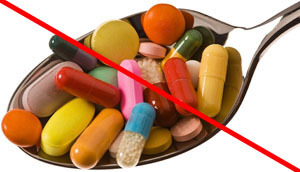 Why diabetic sick men are afraid of pig insulin? Because only their own insulin is very usefil to them. Buteyko VEDB method can give to you your own CO2. Your own CO2! Remember that please.